LEDGlow’s Orange Wireless SMD LED Underbody Lighting Kit universally fits 126 ultra-bright orange SMD LEDs housed in (2) 46” and (2) 36” underbody tubes to any car! LEDGlow’s new and improved Orange Wireless SMD LED Underbody Lighting Kit universally fits 126 ultra-bright, wide angle SMD LEDs housed in (2) 46” and (2) 36” underbody tubes to any car. Featuring a flat mount tube design with 15 degree angled mounting brackets that take up less space than the previous model, this revamped underbody lighting kit produces a much brighter and stronger color spill that surrounds the bottom of the vehicle for a custom, head turning look! Very easy to install love the coler orange on my bmw more mods coming soon. I would post a i picture of my car whit my orange lights if it was possible I get a lot of compliments and where can they get them. 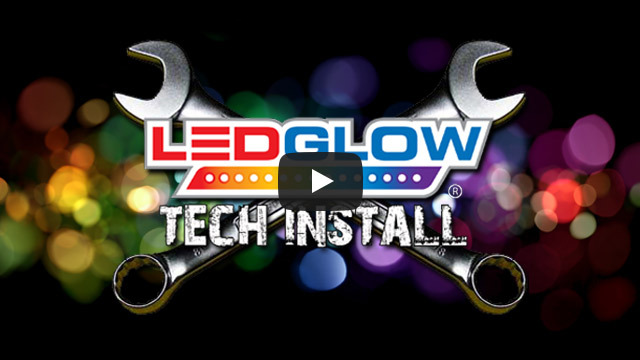 This led under glow is bright and easy to hook up. I get a lot of people compliments on the glow. I recommend ledglow. I like the product a lot. I was impressed with the set up...problem is that the nuts they give you break really easy when installing brackets and there are not many instructions on how to do it properly, but I did find instructional videos on youtube from the company which helped. My issue is that I have a 2011 Camaro and I can't figure out where to get the wires through the firewall and it would be great if I could get some help with that. Overall I definitely agree that the product is worth the price. Made my Orange fade Pop ! with installing on an older car the brackets were kinda making the lights show and we all know that ain't cool ! so with great care not to do anything to limit my warranty i made some adjustments . all in all my paint job totally rocks with these lights ! love the product and plan on buying more . I am beyond happy with this product. Very bright, and works well. Install took about 3 hours, but not that difficult. Wish I could post a pic of my show car with it, so you can see how well it looks. Will do bussiness in the future.